In the wake of the advent of online advertising and, in particular, social media advertising, print advertisements like the adverts found in newspapers and magazines face stiff competition in the race to maintain relevance in a rapidly developing technological landscape. One way that printed mediums like newspapers and magazines are fighting back is through the use of QR Codes. QR Codes allow readers to scan a Code with their smartphone and access things like content or an exclusive offer. Print media outlets are starting to wake up to the potential of QR Codes for bridging the gap between printed and online advertising campaigns. American retail giant Target is just one of the major players who have started to take an interest in QR Codes on newspapers and magazines and even in-house catalogues. Target has recently started to add QR Codes on magazines and newspaper adverts that redirect customers to online advertising content as well as how-to guides on creating an interior decor for your home. This method has the dual benefit of offering a more comprehensive and guided purchasing experience as well as streamlining the printed adverts themselves. By removing the need to include large amounts of product info, advertisers are freer to focus on the visual impact of the advert. Music app Shazam is another example of a major player making the move to QR Codes in advertising, with many of their Vogue magazine adverts featuring scannable content. Indeed, magazines themselves are waking up to the need to guide users to their digital counterparts, with printed versions of HOW, GQ, Cosmopolitan and Health all linking readers to online articles using QR Codes. 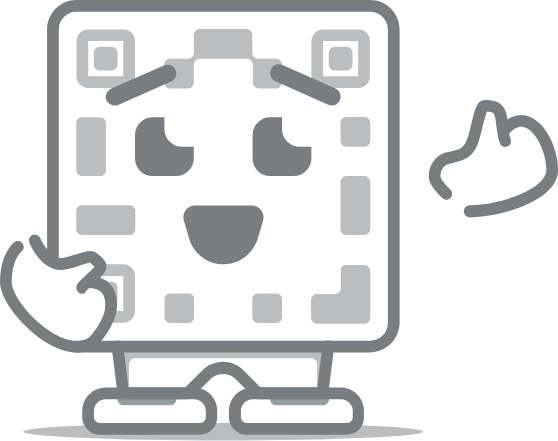 Thanks to online QR Code creators like QR-Code-Generator.com, you don't have to be a global franchise to benefit from the use of QR Codes. Whether you are advertising your business in a nationally distributed news article or simply have a small section in the corner of a local newsletter, you can distinguish yourself from the pack and incentivise prospective customers by adding a QR Code. Here are our top 5 ways to enhance your advert with a QR Code. QR Codes on magazines can be a great way to motivate people to visit your business to avail of a discount. A key to any good use of QR Codes is to offer an incentive to scan it and discounts are a tried and test method of doing this. For example, if you are a restaurant owner, you can offer a discounted meal to get punters to visit. This is even more useful if you offer a delivery service as customers can take advantage of the discount while still reading the magazine! You can provide more information and avoid cluttering your advert unnecessarily by using QR Codes on newspapers to link to online content that you've created. Even a short 30-second video can provide far more information than a simple printed advert and will create a greater desire in your potential customers. If you have set up the incentive to scan your QR Codes on magazines and adverts, you can also use a tracking system to get an idea of how many and what kinds of people are paying attention to your print adverts. This feedback can be incredibly useful when tailoring and adapting your advertising strategy to the changing marketplace. QR Codes offer you the chance to tailor the viewers' interactive experience. One way of doing this is to use the Code to link to a specific product or set of products. This streamlines the experience and saves customers the hassle or searching through your website for the items talked about in the printed advert. Your aim when setting QR Codes on newspapers and magazines is to motivate your potential customers to action. One way to do that effectively is to cut down on the number of steps involved in getting from the advert to you. Your QR Code can be used as a direct link to an email address or messenger service. You can even use a QR Code to link directly to your phone number!